Let me paint a picture in your mind’s eye. You either live on Cedar Mountain at Duck Creek or you are traveling around Southern Utah. Maybe you stop in at Cedar Breaks National Park or drive over the mountain to see the wildlife or hike the Bristlecone Trail. Maybe you are camping at Navajo Lake and fishing for trout. Whatever has brought you here you’re here and that’s that. Did you know that 30 miles away from Duck Creek Village sits Wanderlust Cowgirl Coffee? Did you know that this brew has been purchased by 1000s of people from all over the world? And did you know that everything they serve is homemade with love from them to you? We invite you to go see our friends at Wanderlust and buy a coffee and pastry of your choice. From frappucinos to lattes to plain black coffee they have you covered, and their choice of pastries are extensive. Just thirty minutes from Cedar Mountain and you will have a fresh cup of brew in your hands, and who knows you just might enjoy the ride in Utah’s beautiful color country! 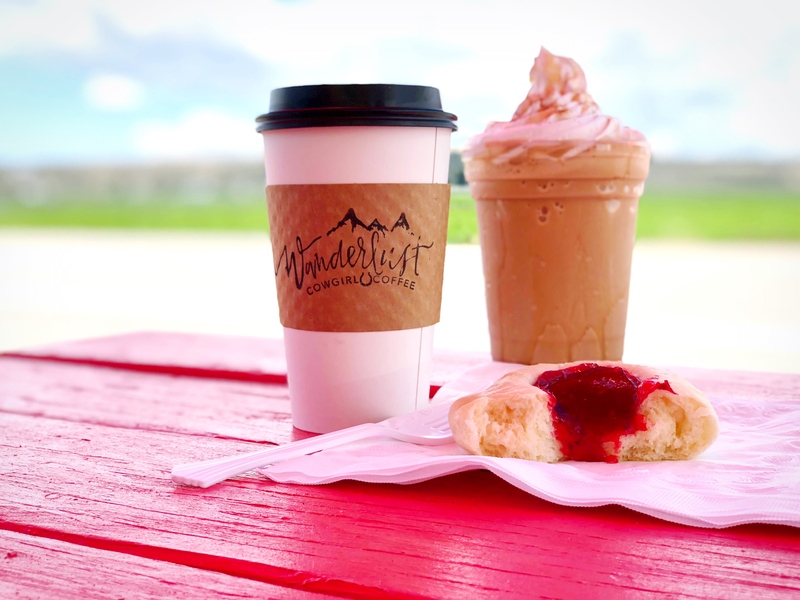 Wanderlust Cowgirl Coffee is just 30 minutes from Cedar Mountain!